A couple of days ago I was listening to a local gospel station on my way in to work. The question of the day was: Who were the better leaders - men or women? Well, this woman calls in. I would say she was maybe mid-30s, mid-40s. She said that men were the better leaders because women were too emotional and vindictive by nature. Whoa ! That's pretty harsh. But what do you think of what she said? Do you think women don't make good leaders because they're too emotional? Do you think women are vindictive by nature? 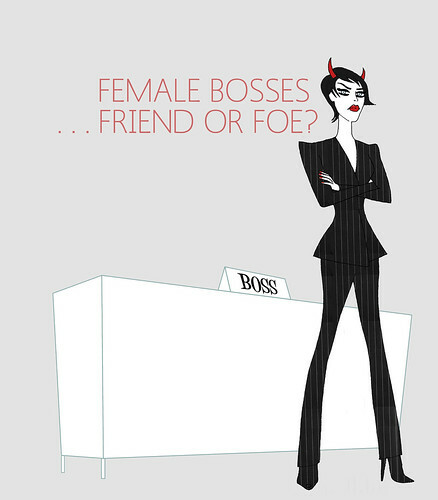 What has been your experience with a male or female boss? I honestly have had better working relationships with male bosses. Now, I don't know if that's because I have alpha female tendencies or because I'm bitchy and men just deal whereas women get all butthurt, but it has definitely been the case over the years for me that I work better with men. I dont think I have had a true male boss, but I can say, women are emotional when dealing with stress on the job. This would be a great survey to take.